Complete your bedroom collection by placing this landscape mirror on top of your favorite storage piece. Featuring beveled glass surrounded by a frame crafted from Oak veneers and hardwoods, this mirror is as sturdy as it is stylish. The Telluride Landscape Dresser Mirror by Intercon at Gallery Furniture in the Oregon, Portland, Clackamas, Washington, Beaverton, Northwest, Vancouver area. Product availability may vary. Contact us for the most current availability on this product. 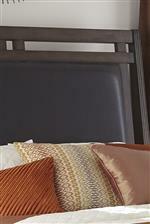 Create an inviting bedroom space you'll love to come home to with the addition of this collection. Offering a variety of storage option as well as two different bed styles allows you to put together the perfect set for your lifestyle. 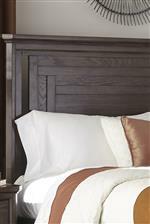 This collection is constructed from select hardwoods and Oak veneers covered in a rich Vintage Oak color that will create a warm atmosphere in your bedroom. The Telluride collection is a great option if you are looking for Relaxed Vintage Transitional furniture in the Oregon, Portland, Clackamas, Washington, Beaverton, Northwest, Vancouver area. Browse other items in the Telluride collection from Gallery Furniture in the Oregon, Portland, Clackamas, Washington, Beaverton, Northwest, Vancouver area.